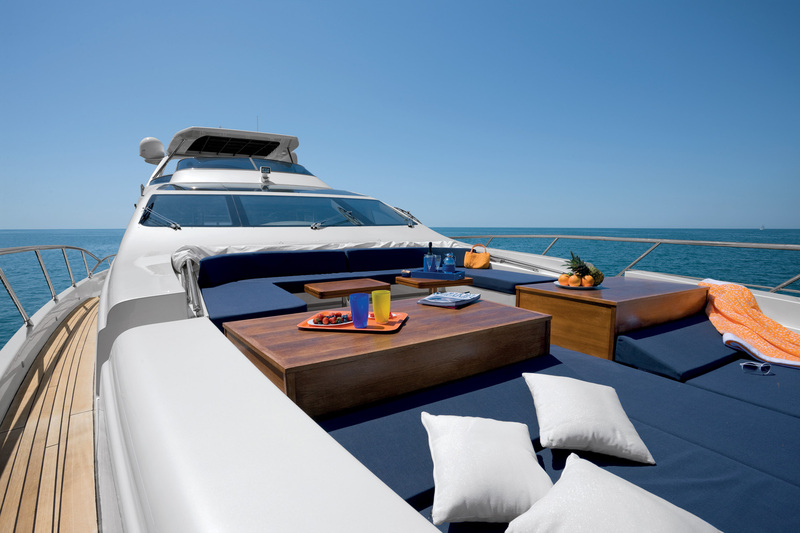 Azimut 100 is one of the most luxurious and the biggest yachts for charter in Croatia. 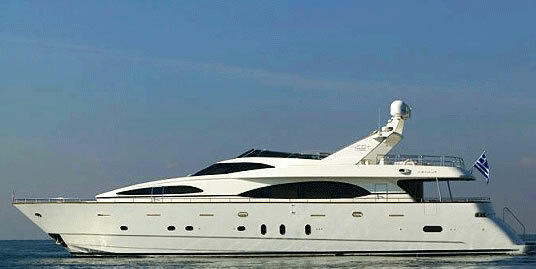 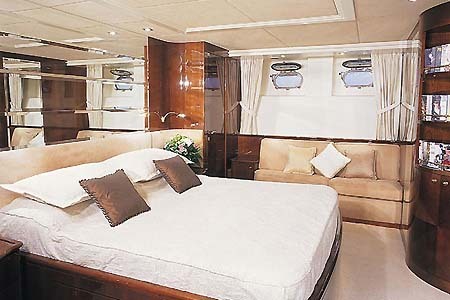 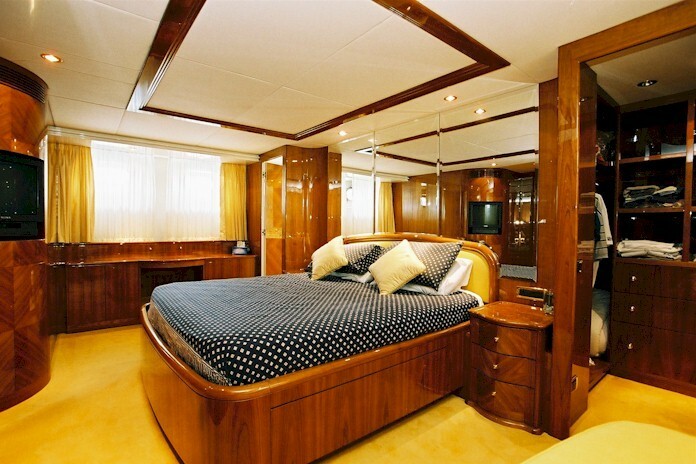 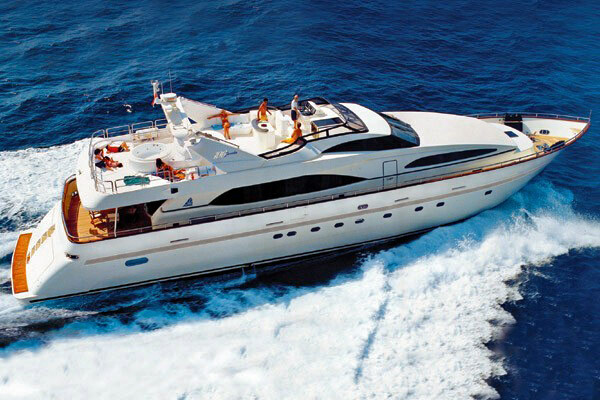 This magnificent, extremely spacious and luxury 5 cabins yacht, is suitable to accommodate up to 10 guests. 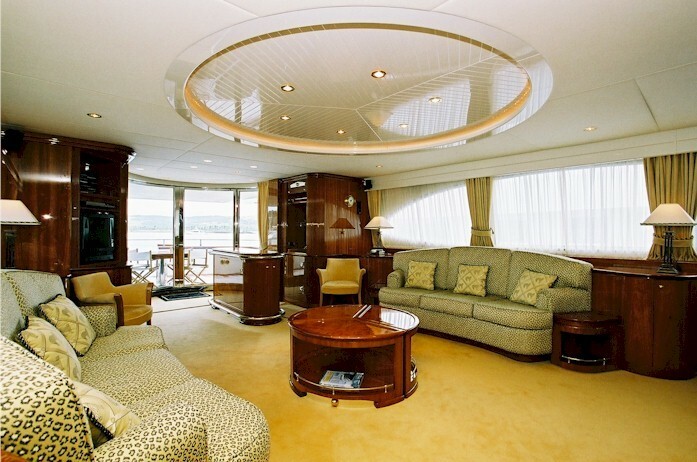 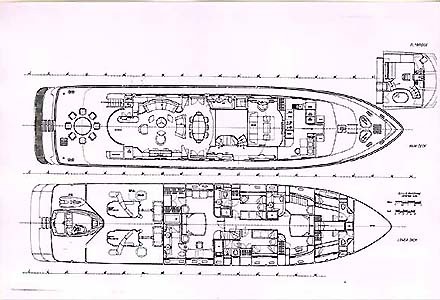 The yacht has double master cabin, one double VIP cabin, two twin cabins and one convertible Multi-purpose cabin. 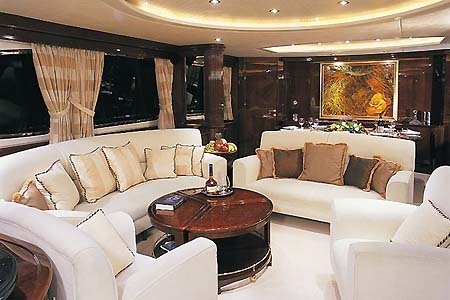 The Multi – purpose cabin can be used as a home cinema, private salon, quiet business area, or as a fifth guest cabin. 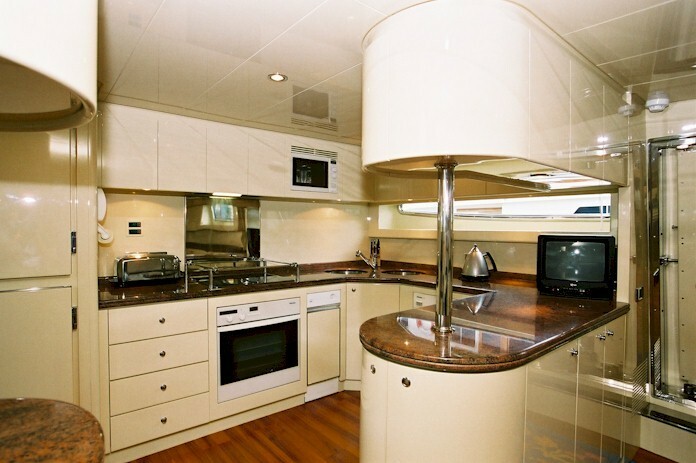 Each cabin has a large modernly furnished toilet. 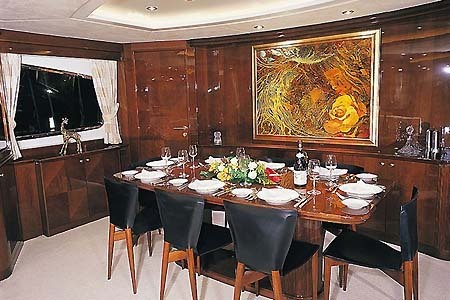 Elegant salon, finished in cherry wood, provides large sitting and dining area, equipped with the latest technology. 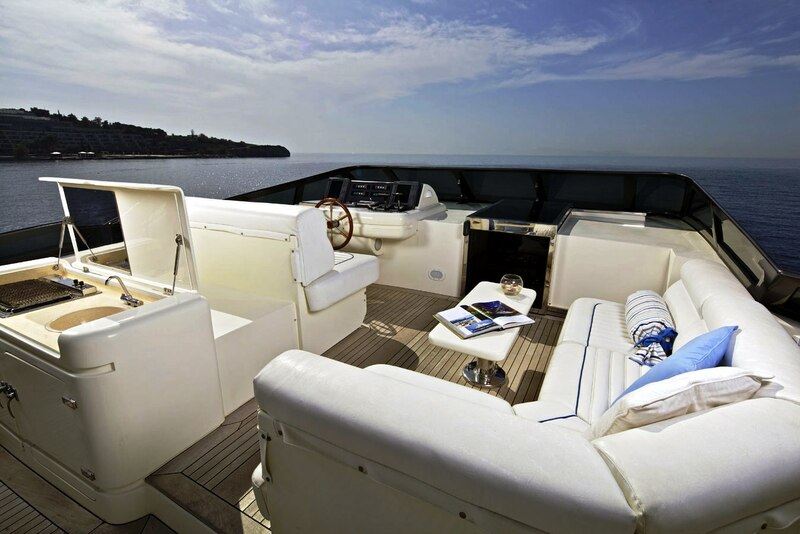 Spacious side windows allow lot of brightness and amazing view, even from inside. 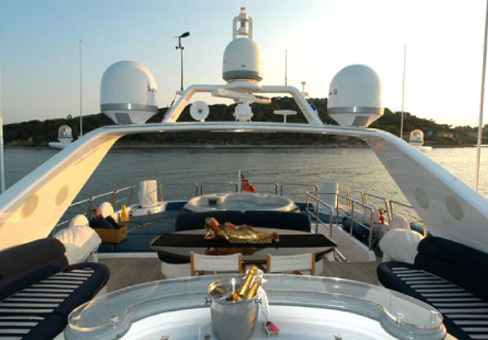 The large fly-bridge is very comfortable sitting area and, as additional enjoyment, also has a luxury whirpool bath.